Hello, hello! I hope everyone had a fantastic weekend. 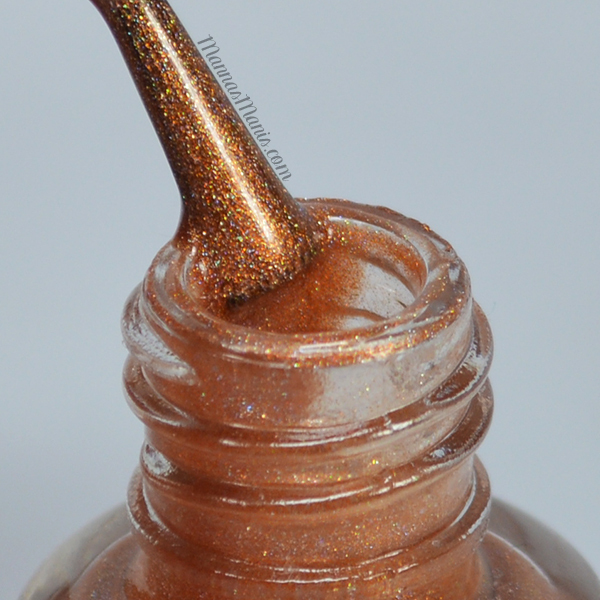 Today I have another new-to-me indie to show you guys called Starlight Polish! Starlight and Sparkles specializes in custom 3 free polishes, franken polishes, and handmade jewelry. Issa was kind enough to send me 5 of her amazing polishes to show you all today! 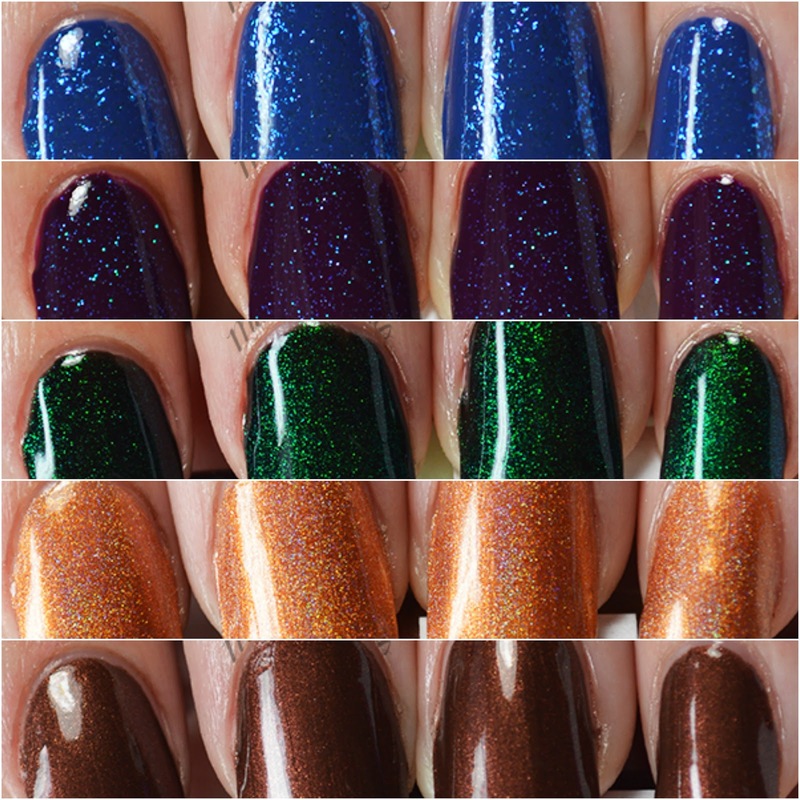 Note: All of these are topped with Starlight's Crystal Top Coat. Blaze Crystal is described as a light orange linear holographic. When I first saw this I thought of it as a burnt orange, almost bronze. I've said before orange is typically not my color, but once I swatched this I was in LOVE. This is 2 coats. 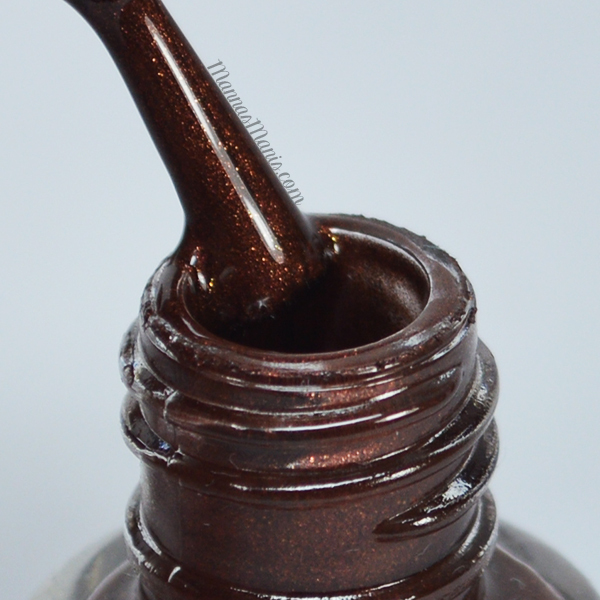 Hot Chocolate is a deep, rich brown shimmer. 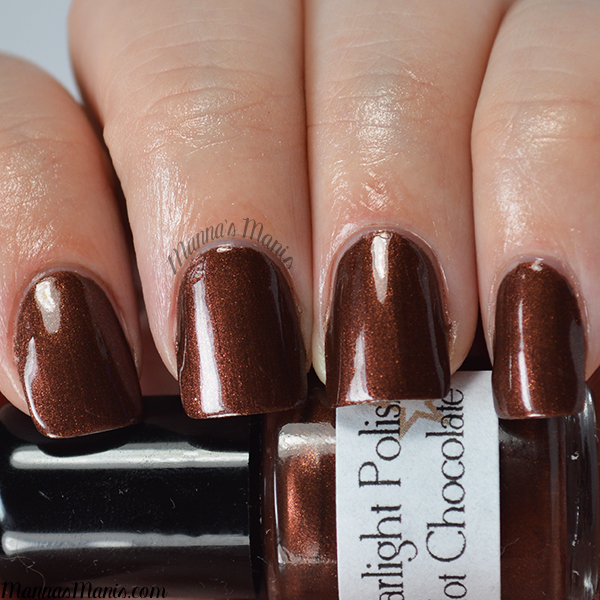 I'll admit, this is the very first brown polish in my massive nail polish collection. It's not a color that I gravitate towards, but once again as soon as I swatched it, I fell in love! Makes me think I really need to be more open to the colors I choose! This was *almost* a one coater, but a couple of nails had tiny bald patches after one coat, so this is 2. Companion Fairy is a sparkling color shifting top coat that shifts from turquoise, blue, teal, and green. My pictures do NOT do this polish justice, I'm still learning how to photograph shade shifters with my DSLR :( This is one coat over Orly Plum Noir. Unicorn is a color shifting duochrome top coat that shifts from green, blue, turquoise and indigo. I literally can not EVEN with this topper, it is INSANELY gorgeous in person. Unfortunetly it has been raining all week here in Kentucky, so I wasn't able to photograph these out in the sun like they deserve! This is one coat over China Glaze Liquid Leather. Aqua Rhapsody is a shimmering blue and turquoise glass fleck top coat. Just like the other top coats, so very pretty! This is one coat over Julep Briana, but I would suggest putting this over a darker color, I don't think blue was the best choice. Final thoughts: All 5 of these are stunners! I had no issues whatsoever with application, and the formula for all of them were pure perfection. Would I recommend Starlight polish? ABSOLUTELY!